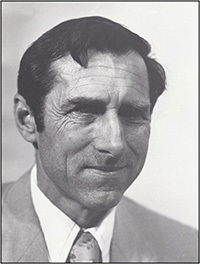 R. Gordon Gastil (1928-2012) was an internationally renowned geologist known for regional geologic mapping and work on the tectonic evolution of convergent margins. He mapped thousands of square kilometers in Arizona, California, and Mexico, including the entire state of Baja California and was awarded the prestigious Dibblee Medal on August 21, 2002, in recognition of his extraordinary accomplishments in field geology and geologic mapping. Gordon’s insatiable curiosity and geologic insight served as a model for hundreds of San Diego State University students across five decades who learned the art of geologic mapping under his direction. In Gordon’s honor, the Department of Geological Sciences is excited to announce the Gordon Gastil Legacy Project to establish in perpetuity the “R. Gordon Gastil Library” at SDSU. 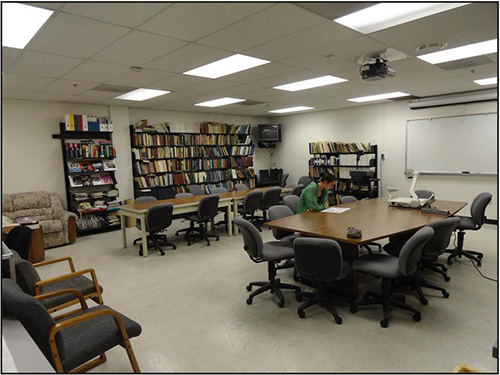 The library will be established in the GMCS building in a 740 ft square room currently used for seminars and faculty meetings. The plan is to refurbish this room to include all of the major maps Gordon was involved in producing – Baja, Sonora, Tiburon – as well as Baja rock samples, and nicely framed field pictures recording Gordon and students through the years. The vision is to create a comfortable, heavily used Department “hub” that reflects Gordon’s career accomplishments and the importance of field training in our profession as an example to all of our students. We need your help! The next critical step is raising the $60K necessary to make the Gastil Library project a reality. Importantly, the Department gets to keep all of the money we raise for the benefit of students in our program – so this is a win-win proposition for the Department. With generous contributions of seed money from John Minch and others, the hope is that we can “hit this one out of the park” and raise the rest of the money in short order. Once this is done and the refurbishment completed there will be an inaugural opening of the Library which we hope will be in 2013.